Google today, in a press event held at its Headquarters in Mountain View, California has finally unveiled the much hyped Nexus One, aka the Google phone. Nexus One is powered by Android 2.1 operating system, it features 3.7’’ AMOLED screen, 1Ghz Snapdragon processor with 512mb of Ram and 5 megapixels autofocus camera with flash to go with it. Nexus One has been designed by Google itself, while the hardware has been manufactured by HTC. 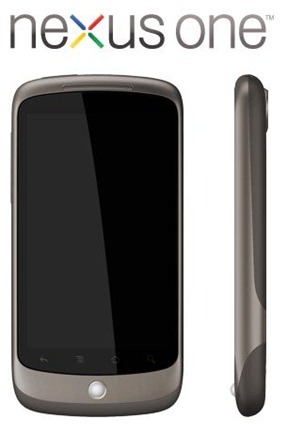 We have been covering Nexus One extensively from the day the first info about it was leaked back in December 2009. Here is a compilation of our complete coverage on the Google Nexus One phone. Unlocked version of Nexus One will go on sale for US $529.99, and the one locked with T-Mobile for 2 years contract will cost US $179.99. The CDMA version of the phone will be arriving on Verizon Wireless in Spring 2010. More on Nexus One availability and price plan can be found here. As already stated above, Nexus One features the powerful 1Ghz Snapdragon processor, 512mb of Ram, 3.7’’ WVGA AMOLED screen and 5 megapixels autofocus camera with flash. More info on the specs can be found by following the links given below. We have been covering all the leaked pictures and videos that made it to web much before today’s official Google announcement on the Nexus One. Folks at Engadget has also put up a review of the phone which you can check it out here. Check out our head-to-head comparison between Google Nexus One, iPhone 3GS, Motorola Droid phone and HTC HD2 through the links given below. does the new google phone have voip or skype? I'm sure there's an app for it.